HomePark ForestPublic Meeting Monday in Park Forest on Closing of Talala School; SD 201-U Officials to Attend. Park Forest, IL-(ENEWSPF)- Crete Monee School District 201-U plans to close five schools by June 2020. Among them is Talala School in Park Forest which educates close to 320 students who live in the Will County section of Park Forest located south of Sauk Trail. There is a public meeting on Monday, October 1 at 5:30 p.m. in the Board Room of Park Forest’s Village Hall, 350 Victory Drive. Officials from SD 201-U are expected to attend. 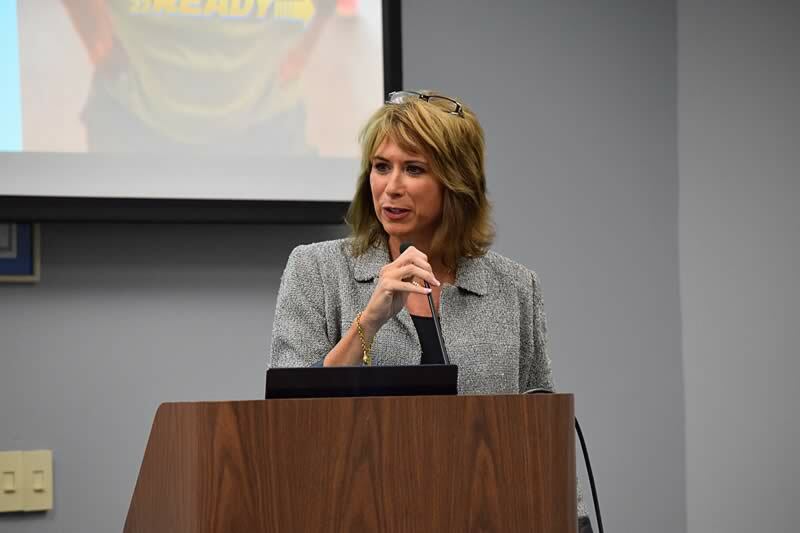 The district dovetailed its plan to bring about changes to student learning with its addressing its current budget crisis which includes an annual deficit of $5 million. “That was on the facility plan at that time,” she responded. “At that time” appeared to make reference to the district’s plan, approved June 19, 2018, by the 201-U Board of Education, revised and updated on the district’s website on July 25, 2018. Sixth Grade Center: Will be demolished (Fall 2018) and a new Pre-K-2nd Grade Learning Center will be built (August 2020 opening). Balmoral Elementary School: Will be closed (June 2020). Crete Elementary School: Will be closed (June 2020). Coretta Scott King Magnet School: Will be closed (June 2020). Monee Education Center: Will be closed (June 2022). Monee Elementary School: Will be expanded to become a 3rd Grade-5th Grade Learning Center (August 2020 completion). Talala Elementary School: Will be closed (June 2020). Crete-Monee Middle School: Will remain a 6th-8th Grade school and classrooms will be added to accommodate the student population (December 2021 completion). Crete-Monee High School: Outdoor athletic facilities will be upgraded. Early Childhood Facility and Administrative Offices: Will be remodeled to include the Alter- native Program and all Administrative Offices (August 2022 completion). So, that was then, in June and July 2018. What about now? “That’s part of our discussion right now,” Dr. Coglianese replied. Moving forward, closing Talala School is still a possibility, the superintendent affirmed. When would it close? 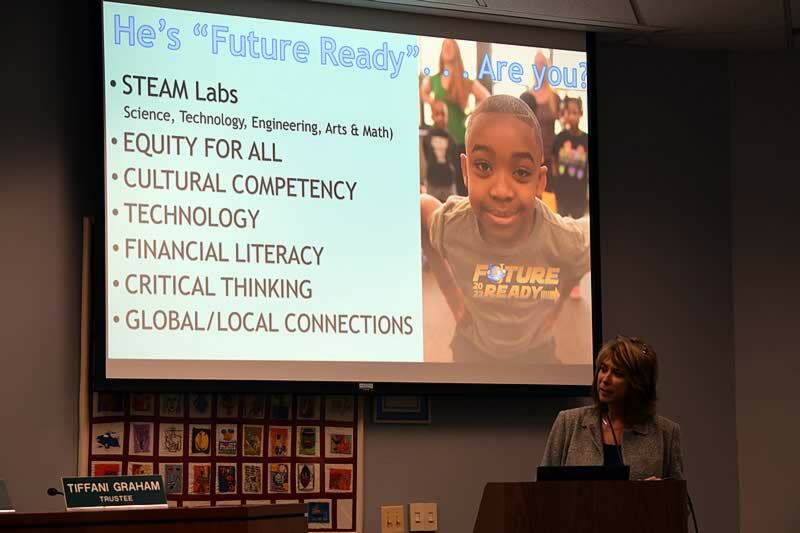 “If that plan does come through, we’re looking at two years from now.” That’s two more school years: the current 2018-2019 school year, and the 2019-2020 school years. Is this entirely a fiscal consideration? “It’s a little of everything. It’s mostly for equity,” she said. What does she mean by equity? How much is left in reserves? For this, Dr. Coglianese deferred to Mr. Kenneth Surma, the district’s Assistant Superintendent for Business/CSBO. Mr. Surma confirmed that the district is burning through reserves right now. “We are,” he said. How much is in reserves? “At the end of our audit last year, I’ll give you some rough numbers, probably about $32 million dollars in reserves. Now, the thing to keep in mind about reserves, though, is that is only set at a certain point in time. So it’s in June, that’s our policy, it’s in June that we set what the reserves are. In June, we have $32 million. Tax and revenue anticipation notes and warrants are frequently issued by units of local government to solve problems associated with the mismatch between the receipt of property tax or other revenues and ongoing expenditures. Typically, tax revenues are received in two primary installments during the year, while expenditures must be made on a daily basis for governments to operate. Short-term borrowings, such as warrants and notes, may be used by a governmental unit to cover deficits that may arise as a result of this timing mismatch. Notes and warrants enable governmental units to borrow to meet cash flow needs. Federal tax laws require an analysis of a governmental unit’s cash flow needs if the borrowing is to be done on a tax-exempt basis. The need is demonstrated by preparing month-by-month cash flow estimates for the funds for which the borrowing will be made. Mr. Surma said the district is probably two to three years away from running through all reserves, leaving the district with no funds for operations. What kind of condition is Talala School in today? After these assessments in 2013, the district did no work on Talala School, Mr. Surma said. There were no improvements in the areas of life/safety, nor in the facility assessment areas. “So, right now, on the books, there’s about $6 to $7 million in work that needs to be done there as a combination of life/safety and facility assessment,” he said. During the Village Board meeting, Mayor John Ostenburg commented on the apparent racial disparity in 201-U’s decision-making process, closing Talala, a school in Park Forest with a largely African American population. Does the district understand the questions of racial disparity? Why not put money into Talala School? Again, the public meeting is scheduled for Monday, October 1 at 5:30 p.m. in the Board Room of Park Forest’s Village Hall, 350 Victory Drive.